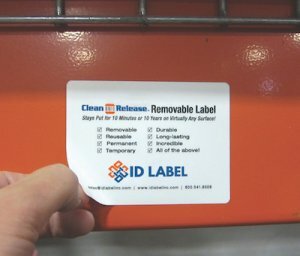 Clean Release™ Reusable Warehouse Label | ID Label Inc.
No Scraping. No Cleaning. No Hassle. No Kidding! With Clean Release™ labels, you can easily relabel warehouse rack locations and containers with new barcode data as your product inventory and information changes or when reconfiguring locations. 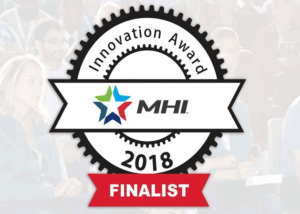 You’ll eliminate countless unproductive worker hours otherwise spent scraping off old labeling and repeatedly cleaning and treating your racks, beams, totes and shelves. Stays securely in place for weeks, months or years! 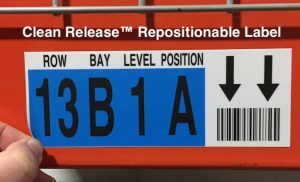 Clean Release lets you easily label and relabel your rack locations, shelves, totes, bins and equipment whenever required. When We Do the Barcodes, You Can Do More!